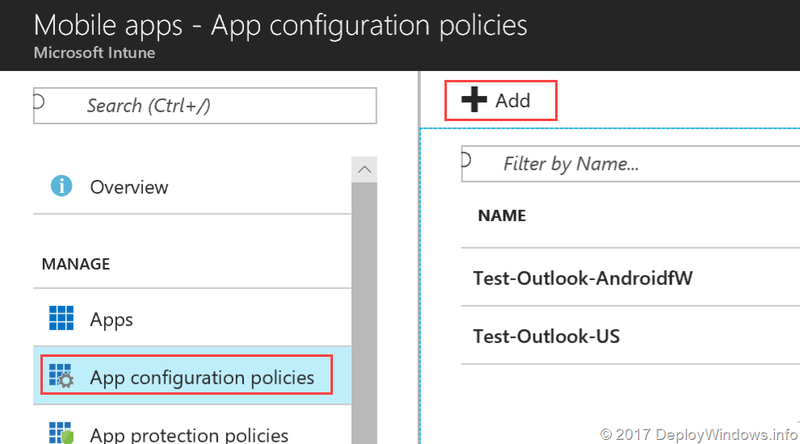 Microsoft released some updates for Outlook app for Android and iOS to be able to configure the app to connect to an on-premises Exchange server. In this article I cannot include all ways of deploying an app (Apple VPP, Android for Word, Apple Store etc. 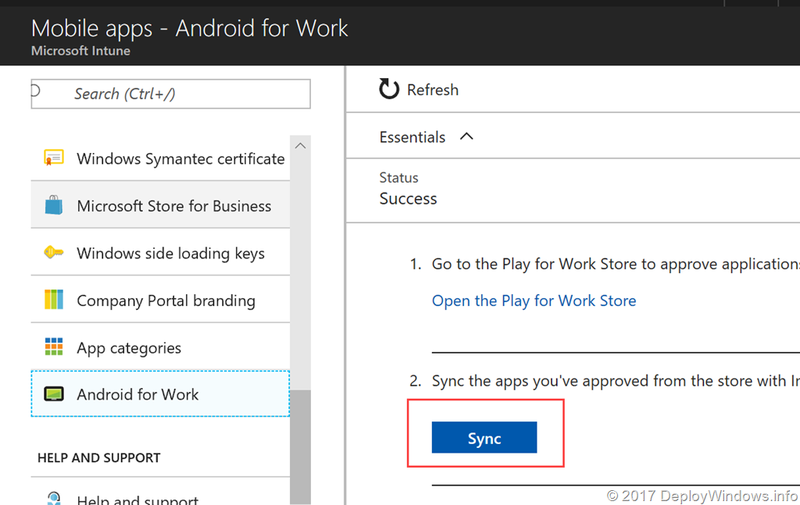 ), so here is a guide how to deploy Outlook with Android for Work. Head over to the Azure portal, and the Intune blade, Mobile Apps and Android for Work. Now its time to perform the actual app configuration, and this differs between Android and iOS. Lets start with Android. Android is a bit easier than iOS since Intune will help you with keys and variables in the portal. Enter a Name and Description. Set Device enrollment type to Managed devices, and Platform to Android for Work. No the configuration, press Configuration settings. 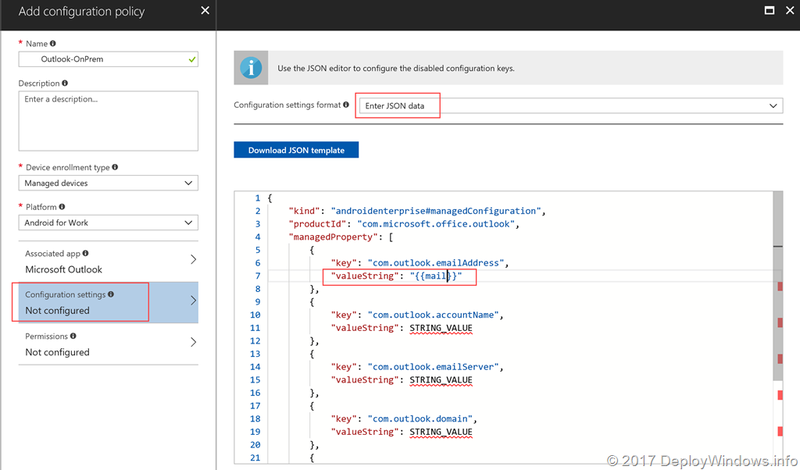 Or choose the easy way out and choose Use configuration designer, you can choose from predefined Keys by pressing the Add button. Now you can choose either string value type to enter a static value or choose variable to enter a predefined expandable variable. The iOS app configuration is slightly more tricky. Enter a Name and Description. Set Device enrollment type to Managed devices, and Platform to iOS. 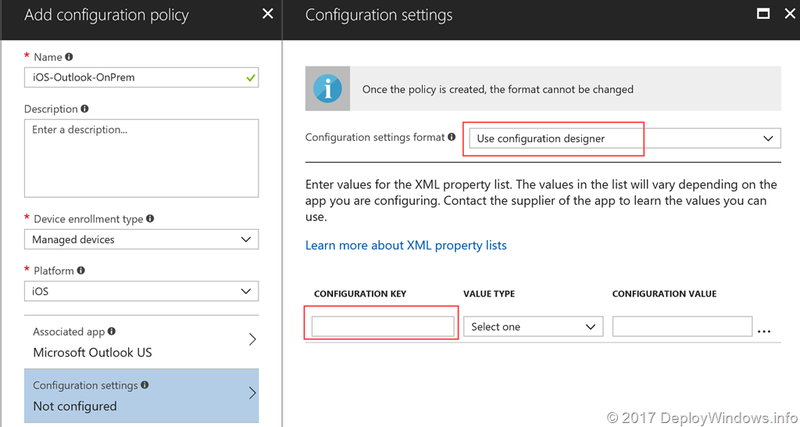 Now select Configuration settings, similar to Android you can select either Use configuration designer or Enter XML data. 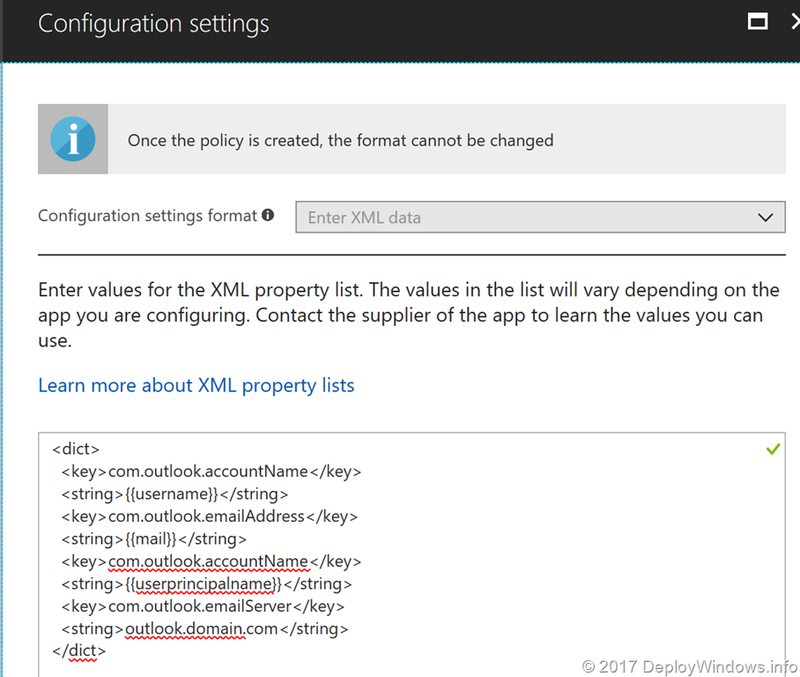 With Microsoft Intune it is possible to not only enter static values, but also enter expandable variables. I am trying this setup together with a per-app-vpn policy. But when the Outlook app can’t access the internet, it does not work. It seems like the app makes a lot of requests to Microsoft over the internet. Have you tried this scenario? Hi Henrik, no sorry I haven’t tested that. The VPN does not have route to internet?